Yeast (which is actually produces the ethanol) ``there are many type of yeast, including those that are used specifically for making alcoholic beverage. It’s hard to fine in store. 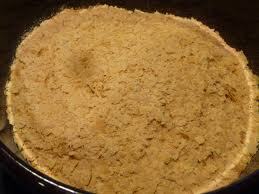 It is much easier and cheaper to just use active dry baker’s yeast if you are willing to sacrifice a bit quality. Which the yeast will convert into alcohol, once it is activated. First and for most, you must make sure everything is sterile and squeaky clean to avoid bacterial denaturization. If you bought a jug or gallon of water or juice, then it should already be sterile. Just be careful not to leave it exposed to the air for too long without the cap on. Next, the sugar must be dissolved with juice or water. If you are not using juice...only making sugar wine, use more water and about 3 cups of sugar. And keep in bottle or jug leaving some space for yeast mixture. 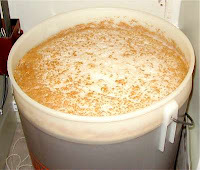 After this, the yeast must be activated and added to the mixture, once it has cooled down to room temperature. You can see to packet of yeast...to follow the instruction on the packet to activate the yeast first. If you don’t know how to do just add the yeast to a few tablespoons of warm water and a teaspoon of sugar and stir it until everything dissolves. Let it stir for about 10 minutes until it starts to forth up, then add it to the rest of the bottle/jug mixture. Make sure that the cap is screwed tight then shake it until everything is dissolved. Now, the balloon comes into play. Slightly unscrew the cap of the bottle/jug just enough to be able to let air out, and then pull the mouth of the balloon down over the cap and all. Then you will need to poke a tiny hole in the thickest part of balloon with needle. When the yeast begins to ferment the concoction, it will start to bubble up with CO2 gas, which needs a way to escape the bottle without exposing its contents to the air. This is the waiting part. Store the bottle/jug in a dark place. If you don’t see bubbles rising up in the bottle/ jug by the end of second day, then it should be thrown out. It’s not in use. You should see a steady flow of carbonation rising into the balloon for at least 3 days. This can last up to 3 weeks before the alcohol content finally kills off all the yeast. I recommend not letting it ferment for too long, however, since the yeast causes it to have a bad taste it it’s in there too long. 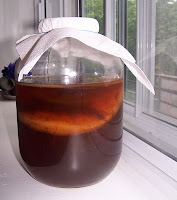 Once the bottle/jug stops bubbling and becomes clearer or if you would like to stop the fermentation process, leave the bottle/ jug in the fridge overnight to kill the rest of the yeast. After a night in fridge, the bottle/ jug should be clear, with a visible layer of dregs (dead yeast) at the bottom. To protect the flavor of your beverage, pour or siphon off the clear portion only in other clean container, leaving the dregs at the bottom. If you want to improve the quality even more, leave it in fridge another night or two, and repeat the process of separating the dregs from the mixture as many times as you want. Now your drink is ready to drink if you like. Another option is to keep it sealed (air tight) to let it age, which will give it better quality. You could even bottle your beverage and cork it to ensure it ages properly. 0 Responses to "making your own alcohol at your home"